This is Wai Linn. 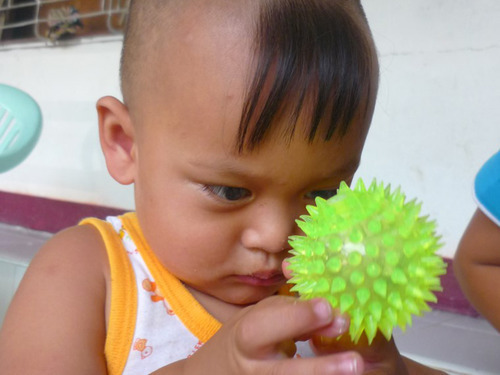 He’s a one-year-old boy from Burma who can see for the first time thanks to nine donors who funded his $2,000 procedure. Wai Linn’s story was posted to /r/UpliftingNews last month. What happened next blew us away. The story was upvoted to the front page of reddit where it was seen by more than a million people on Imgur. Our team did an AMA. And Huffington Post even wrote a piece about the mob of internet do-gooders rallying around Wai Linn’s story. 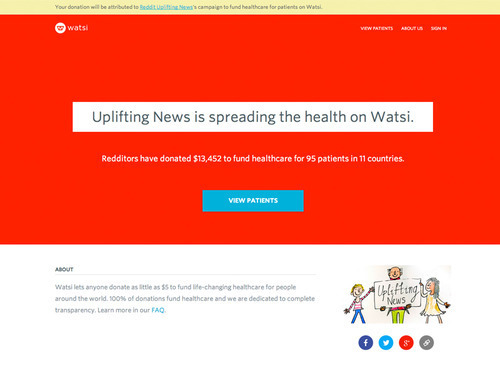 Then, /r/UpliftingNews launched a Watsi campaign. So far, the campaign has raised over $13k to fund healthcare for 95 people. We’ve almost run out of patients to fund healthcare for on the website…twice. The campaign is still going if you want to get involved. 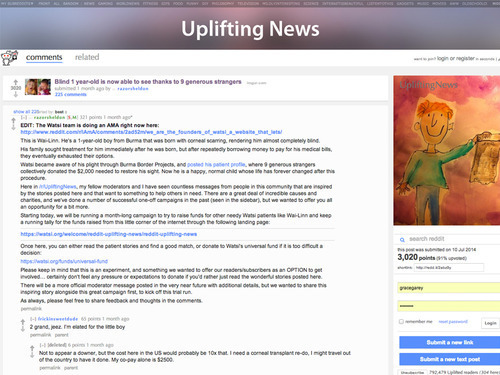 Today, we’re excited to share a few of the updates we've received on patients whose healthcare the /r/UpliftingNews community funded (donors to all patients receive direct email updates). Below is Eva. She’s an entrepreneur from Guatemala who struggled for years to earn enough money to receive treatment for early onset arthritis . Saving money was impossible. Her condition was so painful she couldn’t work. 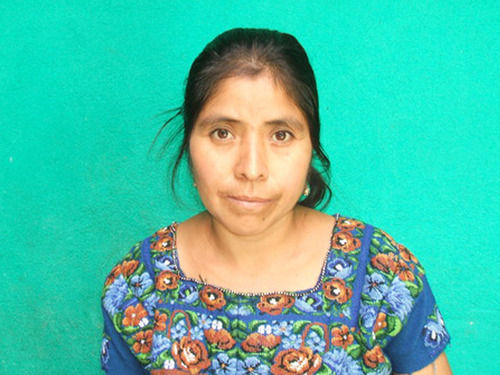 We posted Eva’s profile on Watsi during the beginning of the /r/UpliftingNews campaign. In a few hours, she’d raised enough money to finally receive treatment and get back to living her life. Meet Deepak from Nepal. 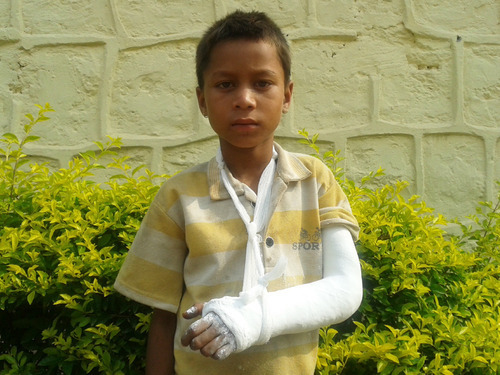 After suffering a double fracture from falling over and landing heavily on his hands, Deepak was unable to move his swollen, painful arm when we posted him on Watsi. Deepak enjoys studying, he is in sixth grade and loves English. But because of his injury, he couldn’t go to school. A $200 cast was all that stood in the way of Deepak returning to a normal life. Everyone in his family works hard as farmers and tailors to make ends meet, but surgery for Deepak was outside their financial reach. Rehma is a four-month-old baby girl. She was born to loving parents in Uganda and promptly diagnosed with hydrocephalus, an abnormal build-up of fluid in her brain. Hydrocephalus is life-threatening. 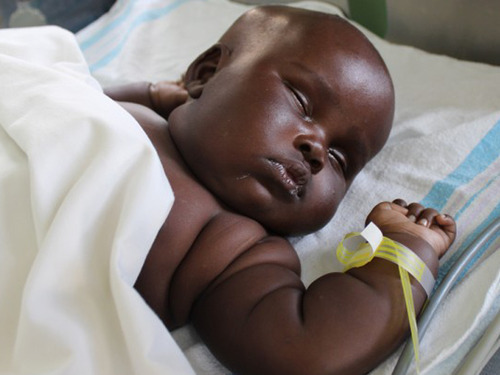 Because of the massive swelling and pressure on her brain, Rehma was at risk for blindness, brain damage, and death. 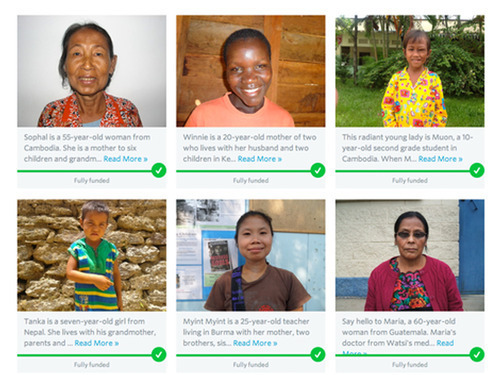 We posted Rehma’s story on Watsi. Within hours, the /r/UpliftingNews community funded a procedure to save her life. Today, Rehma is sleeping, eating, breathing, and growing like a normal baby should. Thank you, /r/UpliftingNews. We hope you know what an incredible impact you’ve made. You can still help Uplifting News spread the health by donating to fund healthcare for a patient through their campaign!